According to our guest on this episode, much of the news industry is engaged in a battle they can’t win, a fight over eyeballs and ad revenue with companies like Google and Facebook, where the terms will get worse and worse as time goes by. The answer? Community. By building a community that values the work that they create, they can wrestle back some of the control over their audience and receive support directly from the people who consume and appreciate the product they are creating. Are news organizations better served by hiring another reporter… or a community pro? Andrew Losowsky is originally from the UK and, since the age of 18, has lived in Hong Kong, Spain and now the U.S. In 2003, he became the editorial director of an indie Spanish editorial startup that built communities around original content. Andrew co-ran a biannual festival of independent publishing in Luxembourg, bringing together magazine makers from around the world. He has also been a John S. Knight Fellow at Stanford University and worked on product and editorial at News Corp and The Huffington Post. He co-created a pop-up magazine (created by a community of people stranded by a volcano), a community museum on a street, a printed time capsule, a human-sized board game about city development and a card game about community management. Andrew used to run an indie magazine subscription service and has written several books about design, print, visualizations and doorbells. He is currently the project lead at The Coral Project. 00:24 Patrick O’Keefe: Hello, and thank you for making Community Signal a part of your week. On this episode, we’re talking with Andrew Losowsky about community tools that empower journalists, what it means to force a layer of community over traditional journalism, and how many people don’t even know they can report offensive comments. Andrew is originally from the UK and since the age of 18, has lived in Hong Kong, Spain, and now the US. In 2003, he became the editorial director of an indie Spanish editorial startup that built communities around original content. He did that for five years. Andrew co-ran a biannual festival of independent publishing in Luxembourg, bringing together magazine makers from around the world. He also has been a John S. Knight Fellow at Stanford University and worked on product and editorial at News Corp and The Huffington Post. Andrew has co-created a popup magazine, itself created by a community of people stranded by a volcano, a community museum on a street, a printed time capsule, a human-sized board game about city development, and a card game about community management. 01:19 Patrick O’Keefe: He used to run an indie magazine subscription service and has written several books about design, print, visualizations, and doorbells. Currently, he is the project lead at The Coral Project, a collaboration between Mozilla, The New York Times, and The Washington Post, which designs projects to meet essential needs of journalism through effective online communities. Andrew, welcome to the show. 01:38 Andrew Losowsky: Thank you, Patrick. It is a thrill to join you. 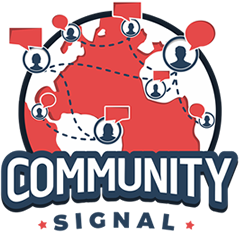 I am a big fan of Community Signal. 01:42 Patrick O’Keefe: You know, I really appreciate that because we’ve talked extensively via email and in person about The Coral Project and your efforts to help news organizations build better communities. I’ve also spent time talking about it with Bassey Etim of The New York Times and Greg Barber of The Washington Post — both previous guests on the program as well. I’ve been a supporter of the project since shortly after it received it funding when there wasn’t really much to show yet. I think you’ve done a really good job, so thank you for that. 02:06 Andrew Losowsky: Well, thank you, Patrick. Your support has always been hugely helpful. 02:10 Patrick O’Keefe: Oh, it is my pleasure. I’ve never worked in news media, but as I’ve hopefully demonstrated in our conversations, I definitely have a passion for news media community building. I think that shows in the program here as we’ve had not only Bassey and Greg, but also Mary Hamilton from The Guardian, Talia Stroud from the Engaging News Project, Sarah Lightowler from CBC, and probably a few other journalism community builders, engagement editors on the program. I always enjoy hearing our peers in the journalism and news media space, and you are the next in a long line. Before the show, you told me that, “The biggest issues journalism is facing right now are falling trust, a lack of new revenue streams, homogeneity, a voice is in the work, and toxic online interactions.” You say that the way to conquer all of these is through real community connections and relationships, but it can happen by forcing a layer of community on top of traditional journalism. In order to effective, community needs to be a key element of the news organization’s mission and culture. Those are your words. What does it look like when media orgs force a layer of community on top of traditional journalism? 03:16 Andrew Losowsky: What it looks like is saying to journalists that they have to spend time in the comments without actually giving them the tools or the training to be able to do so effectively. It looks like expecting journalists to be engaging in social media—whatever that means—on any particular news room. It looks like saying, “Oh, you need to ask your readers for help,” or “You need to crowdsource this,” or, “Why don’t you go and talk to people at this event or in these comments?” without actually giving any strategy or thought to it. What you end up with is journalists who are very resentful of having to have another task placed on top of them. In this case, a task where they don’t see the connection between their journalistic work and this community work that they’re being asked to do. We see this happening a lot in newsrooms because there is a general understanding that we should be doing engagement, or community, or whatever that means. 04:07 Andrew Losowsky: But really, what we’re finding more and more is that the issue with that is if you don’t understand and have a real commitment to community as part of your journalistic mission, as part of the strategy of what you’re trying to achieve in the totality of the newsroom, not just within one corner of the it, then it will ultimately always fail. We’ve seen this repeatedly. For me, a little part of me dies when I see that happen because what we’re really missing is the kinds of connections that journalism needs in order to survive. Especially in a connected age. 04:41 Patrick O’Keefe: A lot of your work talks about how important and impactful it can be for a journalist to engage in the comments. Not that they necessarily need to be the moderators or the engagement editors, but the people who write the work actually being a part of the what’s usually below the work. Not always, but usually. That comment section and how it raises the level of civility, and how people value their own comments more when they see the journalist is there with them. Do you think that as part of this understanding of strategy… Like you said, don’t just throw it at them and say, “Hey, go in that section and engage,” but actually have a strategy, have a plan. Is part of the role of a journalist, is that being redefined? Does it need to be redefined where a percentage of time is spent in those sections, where it’s not just news gathering, writing, sourcing, kind of a traditional good solid journalism that happens in writing, but that the journalist and the employer, perhaps more importantly, need to understand that there has to be time set aside for them to engage in the comment and the community sections for them to be the best journalists they can be? 07:49 Andrew Losowsky: At that point, the conversation starts to shift. It becomes much more, “Okay, how can you find me these useful, interesting people?” Then we’re getting into an interesting question about community identity, and people sharing information, and so on. At that point, the whole conversation shifts. I feel like really starting from what is the role that community can play in the helping the work of journalists, and then being really important that we do the opposite as well. We also say, “What is the role of journalists in helping support communities?” That sounds like a really basic thing. Surely, journalism is just about helping people, isn’t it? I feel like a lot of journalism, we’ve now come to a point where there’s a real separation between the everyday needs of people and the things that journalism reports on and how it reports. To some extent, journalism, I see it very much as a service industry. I’ve been a journalist for 15 years, I’ve worked in many newsrooms, and that attitude isn’t necessarily common. 08:45 Andrew Losowsky: I think it has almost become an elite cultural pursuit in some ways and really sort of distant from the idea of this is a service industry to serve the needs of people who are not being served properly by society, or by democracy, or by government. It’s part of a functioning democracy. For me, I really believe that in order to get newsrooms to think more seriously about community, in order to get journalists to go into comments, we need to first of all change their thinking about what the space is for. Then the second thing that I think we really need to address is that I understand why journalists are reluctant to go into comments. Because off of site, the comments pretty bad. There’s a lot of abuse against the journalists. There’s a lot of unpleasantness happening in these spaces. This is something I know has been talked about before on your show. The issue of where we’ve created technology and incentives that encourage small numbers of people with very loud voices to be able to dominate a space and push everybody else out. 10:28 Patrick O’Keefe: Yeah, I really like that argument. Going back to your first point, it’s almost like by writing well about a particular topic, whatever that topic is, you’re almost building your own niche online community even if you don’t realize it. I like to say community is not a choice. The choice is what you do with it. Do you maximize, minimize? Do you ignore it? Do you respond? If you’re writing about transportation in New York City, and you’re really authoritative. You write these amazing stories. You’re going to attract people who know transportation in New York City like the back of their hand, who know the subway by heart, and are authoritative in their own right on it. Tapping into that is one of the ways that you generate that value. The argument is really akin to, even if you don’t work in news media, thinking about community as, okay, yes, it should be obvious, maybe, that there is value in talking to people. But really to reverse engineer it a little bit is to think about if you’re a business, what does the community serve for the business? 11:22 Patrick O’Keefe: And then kind of making the argument that. Because businesses exist to make money. Journalists have a limited about of time. They want to produce great work, serve the communities that they serve. Framing that argument in that way is really smart. To your second point, you said, “Technology but not people.” In other words, build tools that service these things and minimize abuse. Do you just go in to some newsrooms with this expectation? Especially, I guess in smaller, local and regional newsrooms that maybe don’t have someone who’s on this full time? Maybe it’s some part time for a person or a couple people. Do you just assume they want to hire someone and then try to build the best tech that you can, or is part of your pitch that someone does need to be involved in this sort of engagement strategy whether it be the moderation of the comments? There has to be someone involved beyond just the writer who wrote the post reading the comments on their post. 13:19 Andrew Losowsky: In other words, making really clear what is the contract that you have with your community and then sticking to it. There’s a lot of evidence that bears this out in terms of academic studies and studies of communities. That the real problems don’t come from whether or not people use their real names, or whether or not you’re dealing with a particularly sensitive topic, or something else. It really comes down to being able to make clear does everybody understand what the rules are, does everybody understand when they’ve crossed the line, is it clear how you’re enforcing the rules, and do you actually enforce them? Making sure that any newsroom of any size that gets involved in community is very clear on what its contract is with its community members, and is able to fulfill that. This is why we haven’t just built a comment platform at The Coral Project. We’ve also built another tool called Ask. Ask is a way to create a form that lets you ask targeted questions, manage the submissions really effectively and quickly, and build a gallery of your favorite submissions. 14:14 Andrew Losowsky: So, we also encourage small newsrooms if you don’t want to have interactions, so this is not community as much as engagement. Actually, Rachel Medanic made this great comparison earlier on this podcast about this. That they’re two different things, and they’re related. If you aren’t able to maintain and be part of community as part of your job, then maybe engagement is a really good step towards that. You could ask a specific question about the piece, and then post the best responses you’ve had so far. Because you can’t do direct replies, then there’s not going to be people attacking each other or having that something that could happen when you don’t have the resources to be able to manage it. For us, yeah. I think it is realistic to think that a lot of small newsrooms, especially in the current climate of the industry, are going to struggle with managing with moderation. What we encourage is to think flexibly. Is isn’t do you have a full time staffer or nobody as much as figuring out what you’re promising. There’s so many different versions of that that you could do. 15:09 Patrick O’Keefe: Clear expectations. That makes a lot of sense. I would like to take a moment to recognize our excellent sponsor, Higher Logic. Higher Logic is the community platform for community managers with over 25 million engaged users in more than 200,000 communities. Organizations worldwide use Higher Logic to bring like-minded people together by giving their community a home where they can meet, share ideas and stay connected. The platform’s granular permissions and powerful tools, including automated workflows and consolidated email digests, empower users to create their own interest-based communities, schedule and manage events, and participate in volunteer and mentoring programs. Tap into the power your community can generate for you. Higher Logic, all together. Thinking about those smaller newsrooms, what would you say is the average number of reporters or journalists that are in one of those smaller newsroom? 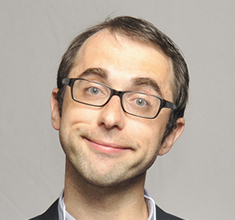 15:57 Andrew Losowsky: I don’t think there’s such a thing as an average newsroom. 16:00 Patrick O’Keefe: Give me a realistic number. When you see a small newsroom, how many people are in it? 16:03 Andrew Losowsky: It depends what you’re talking about. If you’re talking about hyper-local, then it might be five to ten. 16:10 Andrew Losowsky: If you’re talking about metropolitan newspaper size, then you’re sort of scaling up to maybe 150. 16:15 Andrew Losowsky: Then going up. 16:16 Patrick O’Keefe: Here’s why I asked that. It wasn’t to get a specific number. Let’s say they have six reporters, right? 16:22 Patrick O’Keefe: They’re going to hire a seventh, but they haven’t hired anyone to do any sort of engagement. Are they better served hiring a seventh reporter, or are they better served hiring an engagement editor? 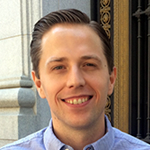 16:30 Andrew Losowsky: I think it really depends on what their business model is and what their revenue model is. 16:34 Andrew Losowsky: I don’t mean that as a dodge to stop talking about community. 16:37 Patrick O’Keefe: No, not at all. 16:37 Andrew Losowsky: This is a real community question. Right now, so much of the news industry is… its revenue model is based around advertising and creating click bait in order to get the numbers that will then get enough eyeballs onto the advertising. I think this is a really shortsighted strategy. It’s a shortsighted strategy in a number of ways. Over half now, I think, of the online advertising money goes directly to Facebook and Google. This is not a battle that news industry is going to win. The terms are going to get worse and worse as you move forward from that. It really is antithetical to community because what you’re saying is, “I want people to come here, and I don’t care where they come from.” Versus trying to build a community who value what we’re doing and will pay for it. I believe very strongly that having someone on community also brings in revenue and there’s a number of academic studies. MIT Sloan did one recently that really sort of reflected that and suggests that there is a direct correlation between those things. You also need to persuade the investors and the publisher. Right now, that’s part of what we see as our task in The Coral Project. We aren’t just building software. We’re also trying to create culture change and change the conversations around what community can mean and why. 17:44 Patrick O’Keefe: To that point, if the revenue stream is subscription or more loyalty based, does that make the pitch a little easier, would you say, for that person? Is that a revenue stream that’s more conducive to making that hire? 17:56 Andrew Losowsky: I think that’s changing, and it’s moving closer to that. When we see companies like The Information, which is a subscriber-only technology website based in San Francisco, and it’s about technology news. It’s really quite expensive. They sell their comments community as part of what you get for subscribing. We’re starting to see things like this. The Financial Times is investing very heavily in its comment communities and its engagement. The Economist is investing very heavily in this area. I think we’re starting to see this more and more be seen as not just a value ad, but a core piece of value. Especially if part of your revenue stream is based around trying to run events for example. Who are you going to invite to the event who are going to pay? Well, it’s going to be the people who are the most committed members of the community. It’s the people who will turn up. Really, there’s a direct correlation. 18:44 Patrick O’Keefe: One of The Coral Project’s key initiatives, perhaps the flagship initiative at this point, is Talk, a comment-focused community tool that you hope many publishers and CMSs will hook into and use as their section for community contributions. Not to oversimply it by just calling it a comment system, but why write another comment system? What was missing? 19:01 Andrew Losowsky: Sure. There were a few things. First of all, what we build is all open source which means a couple of things. That means that it’s free. You can just download it and run it on your server. Secondly, it means that you can change it and customize if for yourself. Beyond that, we’ve built it with a massive plugin architecture. What that means is that you can switch out any of the buttons that you don’t like within it. You can switch out any of the functionality. You can add different ways that the moderation queue could work. You can plug in other third party systems. We have a third party machine learning and anti-harassment company called Sherloq. You can use their plugin with Talk, and they will flag up comments that they think could be harassment or toxic and put them in for pre-moderation, for example, if you connect their plugin. Such an open and flexible system just hasn’t existed in the comment space. Another thing as well about what we do is that it really is built in a very stripped down way that does not compromise any data whatsoever. 20:00 Andrew Losowsky: This is part of being Mozilla. The privacy and transparency around data is core for us as is a belief in the decentralized web. What that means is that if you run Talk, and the company next to you runs Talk, and the company down the street runs Talk, you, individually, own all of your databases. They are not connected anywhere. We, as Coral, do not get access to the data. We don’t want access to the data. This is partly because we’re a nonprofit. We’re funded by foundation grants, and so that enables us to not have to build a Silicon Valley profit models which really encourage data is the thing that is highest value. That’s the thing that you aggregate. That’s the thing that you can then sell into different spaces. One of the leading comment tools right now that’s free—it’s on a lot of blogs and sites—it makes something like 90, 95 network requests when you add it to your site pinging all sorts of different ad tech servers and things all over the place in return for being a free product — you know, that they’re a company. 20:56 Andrew Losowsky: But what that means is that it slows down your site and it means that you’re adding covert surveillance of your users onto your site. Whereas our system makes seven network requests. We’re going to get it down to five. None of it is ad technology. None of it is surveillance. None of it sends data back to us. The other thing that’s different about what we’re building is that we’re building specifically for newsrooms. There is a big distinction, we believe, between what the needs of newsrooms and journalists are around community and social media platforms and other kinds of sites. We’re really been focused and based within a newsroom. We’re based inside The New York Times. All of our research has been focused on journalism specifically which is very different from other comment spaces. 21:36 Patrick O’Keefe: The data pitch is one that’s close to my heart. I love that pitch because whenever community platform vendors contact me… Once in a while… Fairly regularly I’ll get a pitch from one of them to test their product, demo product, be aware of their product. It’s not the most fun question to get asked right away, but my first question is usually, “How can I leave you? How easy is it for me to leave you? Can I leave you tomorrow? Can I take my data with me? Is it in a format I can use? Is it in some weird format that’ll be difficult to convert to something else?” If their answers to that are that they don’t they don’t feel threatened, then I tend to think very well of them. Because I cannot bring myself to recommend anything that locks in the community data, or you can’t get it out. 22:20 Andrew Losowsky: Yeah, and that’s something we’ve thought a lot about. We’ve also built in a layer to help newsrooms import their comments from their existing systems, so we don’t lose the comment history by switching vendor. That’s something that we know is very important for newsrooms and communities. Also to connect with the existing login. Again, because we’re not giving any sort of third party login where you’re connecting to a much bigger system of data, we’re helping newsrooms, so you only have to login once if you’re a subscriber to the whole site. It will log you straightaway into the comments. 22:50 Patrick O’Keefe: For those looking at Talk, it may seem a little basic right now. I would say it is maybe a little basic, but it’s pretty early going. They’ve really kind of laid the foundation. If you check the project tracker page for Talk—I’ll link to that in the show notes—you’ll see there’s a lot of things that are on the way. One of the things that you showed me last year when I was up in New York that you have started to add in, but I guess haven’t fully integrated yet is that Trust tool which was Coral Project’s first tool. I would call it a filtering tool that allows you to sort your contributors based on numerous data points and theoretically take actions based upon that data. I feel like it’s a great step in the direction of what I’ve referred to as forensic science for online communities. I’m going for some sort of CSI online communities mode here where we sit on all this data, but I don’t know any platform that really uses it in a way that is proactive where they are identifying people for us who, based upon the data, may be suspect in some way, may need some attention, or, on the flipside, who might be excelling in a real way. I feel like Trust could help a lot there. 23:54 Andrew Losowsky: Yeah, absolutely. It’s really trying to understand the context of any action that a user takes and be able to use that in context as well. The first piece that will be in Talk very shortly — we’ve built all the backend pieces, and it’s working great. We just need to add it into the final design — is the ability to see how much the reliability of someone who flags something is when you’re dealing with a report. If somebody flags a thousand times, and you’ve only ever deleted two of the comments they’ve flagged, then the next time they flag, maybe you don’t bring it straight to the moderator’s attention until somebody who is more reliable as a flagger does flag it. Then on the other side of that, if somebody is really good at flagging, if they flag 100 times and 90% of the time they end up flagging something that you end up deleting, they’re as good as our moderators. If they flag something, maybe we should just pull it for the moderator to look at immediately and just not have it there in the stream. 25:45 Patrick O’Keefe: I love that. The reporting example is really timely. A couple episodes ago, we talked about the murder video that was posted on Facebook somewhat recently where someone posted a video saying they were going to do it. They posted a video where they did it. Then they used the live video feature to confess to it. Facebook responded within two hours which reasonable to me, but that’s not the point. The point is that I had mentioned the volume of reports that Facebook sees, and just the volume of false flags they must see. That’s a part of reporting and report features. If I had a way within platforms to say… even on smaller communities. If we had someone report something ten times, and we haven’t removed it once, do I really want to put reports from them into our feed again? If they couldn’t identify one guideline violation out of ten, twenty, thirty reports, they’re clearly reporting based upon their dislike for something not it being actually something that is harmful on the site. 26:40 Patrick O’Keefe: So, I don’t want to say I’m excited because that sounds weird to get excited about something like that. I love the potential of something like that where platforms—whether Coral, of this feature, or the idea inspires them to build it in, or it’s through Talk or Trust—just the ability to flip a switch like that and say, “You know what, these people are more reliable. This data isn’t that hard to collect. It’s not that hard to analyze. Let’s move the reports that mean something up to the top.” I feel like that’s something that everyone with resources… Maybe Facebook already does it. They could very well be doing that, scoring reports and pushing up the accurate ones to the top. But if you’re not, and you have a platform that’s scaling, you have to think about that as an option and start building in tools like that that allow you to cut through the noise. 27:20 Andrew Losowsky: Yeah, absolutely. Also, we’re building the tool, so that you can constantly change those thresholds because they might change as your community matures, as people do different kinds of actions. Whatever you set as thresholds might need to be changed. The idea is that you keep adjusting this. You keep tweaking to a way that works for your community rather than having it as a one size fits all. Here is this feature, and we’ve average it out among all the communities. We want you to be able to manage your community in the way that makes sense to you. 27:48 Patrick O’Keefe: The Coral Project funded a study conducted by the Engaging News Project. We’ve had the director of the Engagement Project, Talia Stroud, on this show previously. They surveyed 12,000 people about the comment sections on 20 different news sites and found that even though all 20 had a reporting function, 38% of people didn’t even realize that was possible to report offensive comments. What do you make of that? 28:10 Andrew Losowsky: Yeah, I thought that was a fascinating result and a huge opportunity because what that means is that with a change in design we can make people feel like a new feature has been added. It’s fairly straightforward. That was actually very useful for us because we changed the language in our designs for Talk based on that. We started out with a button that said flag, and we changed it to report. Realizing that, I think, if you don’t know what flagging means, you could imagine that a flag is something like you pin a flag into your favorite. People could actually think it means the opposite to actually what we understand in the community space it means. I feel like that just indicates that people either don’t click around the menus, or that the ability to report is hidden on a lot of systems, or that it’s labeled with a word like flag that might not mean something to people. For us, it really made us stop and think actually what is the best language. We use an icon of a flag and the word report on our button to hopefully try and counteract that kind of understanding. 29:05 Patrick O’Keefe: Yeah, maybe the Engaging News Project’s next thing needs to be about the wording of the report button. Flag, report, maybe even like, “Is this offensive,” and have that be the link like a question. I know they’ve done some research around microactions and using the word respect instead of like. Maybe it’d be funny to see how the wording is impacted for reports. 29:25 Andrew Losowsky: In fact, we have a respect plugin as well for our site where you switch out like for respect if you want to try it for yourself on your site, the work that Talia and her team did. 29:34 Patrick O’Keefe: Yeah, I like that. I’m working on an upgrade of a community I’ve run for a long time that’s great community, but it’s running on very old software. I want to add in microactions. I’m not sold on like yet. I may or may not add that, but I want to have respect in there because I’m really interested to see kind of how that goes and to be able to experiment, in a good way, with my own data. Another finding in that survey was that on sites that use Facebook comments, where the comments were as such tied to realistic or real looking names, 41% of people said that those comments were civil. On sites where pseudonymous comments were allowed, the number was 40%. No real difference in how they viewed civility between a comments section that enforced real looking names versus ones that didn’t. I had Sarah Lightowler from CBC on the show in January, and they require real names. 30:18 Patrick O’Keefe: But when I pushed on that, they didn’t really require them at all. They just require a name that looks like a real name. I can be Andrew Losowsky, and you can be Patrick O’Keefe. It looks real enough, right? You mentioned it earlier without me prompting you, anonymity, how it really doesn’t impact civility. Is the thought that real names equal increased civility one of the consistent themes that you see yourself fighting against? 30:42 Andrew Losowsky: It’s something that I’ve heard come up. I can understand why it sounds reasonable. That hey, if you see me as a human being rather than fakeuser123, then maybe that will humanize me more. Also, it will make me responsible because I have to use my name. There are a couple of issues around this. First of all, how would you even enforce that? As you quite rightly pointed out in that interview that you can’t ask for people’s government IDs. That would be a really dangerous database for anybody to have anyway. The idea of confirming somebody’s real name is something that Facebook has really struggled with. Especially around drag queens, and Native American names, and so on. That’s something if Facebook can’t solve, I think that the other community is going to struggle with anyway. Also, I think that the idea that real names improves behavior is misleading. 31:28 Andrew Losowsky: This is something that I had believed for a while, so we actually commissioned a researcher from MIT whose name is J. Nathan Matias, and he wrote a piece that is up on our blog at blog.coralproject.net, really doing a sort of 30-year review around real names and what we’ve learned from them, and what are the major studies around community behavior. You can see that on our site. It’s called “The Real Name Fallacy” which probably gives you an indication of where it comes down. The issue really comes down to whether or not people will behave better because of real names, or maybe they will behave worse. If a name sounds like the person might identify as a woman that can really change and worsen peoples’ behavior towards them. If there’s no way of hiding, if there’s no way of being anonymous, then you’re actually… you could be encouraging a great homogeneity in your community as a result, or/and encouraging different kinds of harassment and abuse. I think the real name question is complicated. 32:21 Andrew Losowsky: I think that it could indicate something, but really a much better guide is whether or not you have clear guidelines, and their being enforced. Whether or not people are using their real names is something that I think there is some evidence for some weak correlation, but I would not say that it solves anything despite what a lot of people seem to believe. Because it sounds right, but actually the evidence doesn’t suggest that. 32:45 Patrick O’Keefe: “The Real Name Fallacy” piece, we’ll link to it in the show notes, it’s a good piece. It made me think of there a couple people maybe in the community space who kind of market themselves with academic studies like everything they do is based upon academic study. It’s almost like it’s a mythical knowledge. The greatest thing they could is look at the studies, write a quick summary in plain English of what that means, and then cite it. I feel like “The Real Name Fallacy” article was a really good example of that. This is how this type of thing, analyzing those studies could serve the space. Because those studies can be quite long, and they can be quite un-fun reading. Not that you should only read fun things. That’s now what I’m saying. Summarizing that information in that format was really useful, so thanks for that. 33:25 Andrew Losowsky: Yeah, absolutely. We do a lot with academic research at The Coral Project. Not just commissioning our own, as you mentioned with Engaging News Project. We’re right now doing a study with the University of North Texas. Dr. Meredith Clark is doing a study for us on communities of women of culture and gender non-binary people of color who are very underrepresented in news communities online, especially comment communities to really understand what are the spaces where people who identify in these ways are discussing news, and what is different about those spaces, and are there things we can learn to increase the diversity of our comment communities. One thing that we also are very aware of is that academic research, it doesn’t really answer your questions. It points you in interesting directions for things you might want to try, things you might want to measure, things that can help you understand what has happened in certain circumstances. 34:13 Andrew Losowsky: Often, academic studies are not based on real communities. They’re often based on fictional versions of communities created for the study, so asking if that’s the case or not might really be very different. It give you directions of things to try out. I think that viewing it that way rather than, “This study say this. Therefore, the answer is that,” if feels like it’s a much better way to go. 34:33 Patrick O’Keefe: When I think of good news media… This is my own association, I think of good news media as pursuing truth. Looking at community and the work that we do, call it what you want, audience engagement, whatever, in the media space, do you think that community prose, not just in the news media but even in customer and hobbyist communities, do you think that we have a responsibility for ensuring that the spaces we manage are advancing the truth and aren’t being used as a means to spread untrue things around? 35:00 Andrew Losowsky: I think that’s a very complicated question because the question of whose truth and truth to what end. 35:07 Andrew Losowsky: I think that managing a community, it really comes down to what your community stands for, what are the limits of acceptability, and to what extent do you allow the community to define those versus if you are hosting a community as a news organization. I think those are very different cases. Do I think that the moderators on certain Reddit subreddits should have a duty to the truth above the community? No, probably not. Maybe these are spaces where they have defined what they’re looking for, more kinds of interactions, within that space. Are there subreddits? Absolutely. They’re very much about the truth. Reddit Science and others are very much dedicated to saying, “These are the limits of what we’re prepared to talk what,” and what is and isn’t acceptable in terms of questioning of knowledge within this space. I think your responsibility needs to be towards the community and the foundations of that. If you’re a news organization, the foundations of that will need to be around truth and facts. If it’s in a different kind of community, I think that you start to get into much trickier ground around defining whose truth, and who gets to decide what is and isn’t true. 36:08 Patrick O’Keefe: I’ve known about The Coral Project since shortly after it received funding. I remember hearing about it from Bassey Etim. Then you joined this project a little later, in April of 2015. The grant was in June of 2014. I immediately loved the mission. As I said at the top of show, I believe that you’ve really done some great things. I know the original foundation grant ran through next month, but that timeline has been extended a bit. I was curious how much longer do you have to advance this pro-community initiative? Have you started thinking about what happens after that point? 36:39 Andrew Losowsky: Yeah, so we have right now through the fall toward the end of the year. I’m expecting next week we will be able to confirm it’s through the end of the year into next year. We have a number of different funders who are now coming onboard which is very exciting. Mozilla, itself, is also making a very significant six figure donation to the project as well. We are continuing for sure. The other piece, as well, is that we are going to be starting to offer hosting for newsrooms who need us to host the platform itself. We’re offering hosting with a setup which means that we still don’t have access to your data. That if you want us to go in and do any maintenance, you can give us a temporary key to be able to let an engineer go in, and then you can lock us out again. We’re building up that as an option for newsrooms large and small. You can take our code. You can run it yourself. We can point you towards how to host it on a platform like Heroku, or Amazon, or wherever you’d like to host it. Or you can say to us you want us to manage it. 37:32 Andrew Losowsky: Also, you might want us to build some custom pieces for it. Maybe a custom plugin for your newsroom, a custom plugin to help connect with your authorization system, or something else. What we’re going to be starting to do is move towards sustainability with one part of the project being able to offer services and hosting, and, ideally, grants from foundations for small and nonprofit newsrooms as well to offer hosting while keeping the nonprofit core going. We are still mission based absolutely, and that there is no question of anything around data, user privacy, transparency, building the best things for the industry rather than for the biggest clients, and that remaining our focus. We’re looking at a sustainability plan into next year and beyond that hopefully will keep us around for a very long time. 38:14 Patrick O’Keefe: Well, I’m glad to hear it because I think that the longer that you have, the longer you’re given, the better off I think especially the news media space will be when it comes to community. 38:24 Andrew Losowsky: Thank you, Patrick. That means a lot. 38:26 Patrick O’Keefe: Andrew, thank you so much for being a guest on the program. It’s been great to chat with you. Thank you sharing your knowledge with us. 38:31 Andrew Losowsky: Thank you. It has been my pleasure. A longtime fan, first-time interviewee. 38:36 Patrick O’Keefe: I appreciate that. We have been talking with Andrew Losowsky, project lead at The Coral Project. Find them at coralproject.net. Read their blog at blog.coralproject.net. Visit their online community at community.coralproject.net. Read their online guides to community building at guides.coralproject.net. Follow them on twitter @coralproject and, Andrew, @losowsky. That’s L-O-S-O-W-S-K-Y. For the transcript from this episode plus highlights and links that we mentioned, please visit communitysignal.com. Community Signal is produced by Karn Broad. Until next time.